According to statisticbrain.com, approximately 45% of Americans make New Year’s resolutions, but only about 8% of people are actually successful at keeping them. Does that mean that it’s useless to make resolutions? On the contrary, the same website states that people who make explicit resolutions are 10 times more likely to attain their goals than people who don’t. 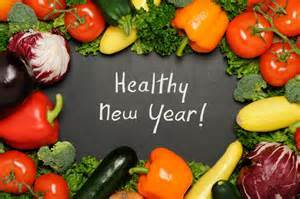 Making specific and attainable health resolutions can help you begin the healthy lifestyle you desire to live. Arguably the number one New Year’s resolution is to lose weight. This is a fine goal, and while it isn’t easy, it is certainly achievable as well. The trick is to realize that it won’t happen overnight. You didn’t gain the weight that quickly, and it is unrealistic to think you can lose unwanted pounds instantly. Instead, set realistic goals such as drinking enough water, eating moderate portions of healthy foods, and increasing activity in small ways throughout your day and week at first. Keeping a food journal and activity log are good ways to keep track of and measure your success. A good goal is to lose 1-2 pounds per week. Quitting smoking is definitely up there with the most popular resolutions as well. It can be one of the best decisions you can make for your health considering that smoking is responsible for approximately 90 percent of lung cancer deaths and approximately 80-90 percent of COPD (emphysema and chronic bronchitis) deaths. In addition, for every person who dies of a smoking-related disease, there are 20 more people who suffer from at least one serious illness associated with smoking. Statistics from the American Lung Association also show that smokers die significantly earlier than nonsmokers: 13.2 years for men and 14.5 years for women.